I think it's safe to assume that most of us would give a finger or a toe to be related to Amy Poehler or Tina Fey. After all, they're hilarious, smart, beautiful, and an inspiration to women everywhere, plus you can just imagine all the witty banter that flies forth unsullied in the presence of such comedy genius. We've heard Tina Fey's stories about her daughters (and loved them) and Amy's new book is already getting rave reviews, so we know for a fact that family dinner with either of Hollywood's favorite couple-that-isn't would be a serious hoot. I guess what I'm really saying is that I'm still hoping that one day, Poehler and Fey will just get themselves together and adopt me already. But in any case, the infamous duo have been casting for their new move The Nest, a movie which now includes James Brolin as Tina Fey and Amy Poehler's father, so basically Fey and Poehler are actively creating the best family ever. 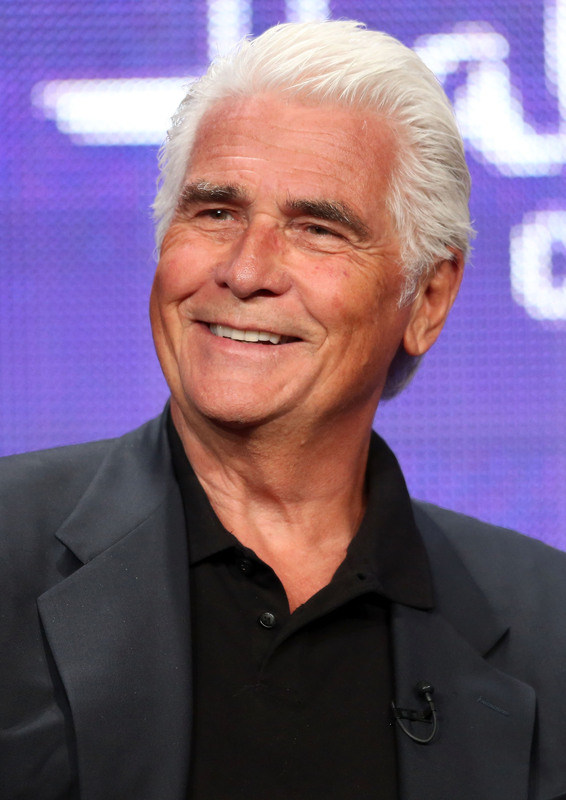 Just look at James Brolin's face. He looks like the inspiration of all fatherhood, his face and the really parental beard he usually rocks just exude dad-ishness with a quiet power that seems to say, "I am dexterous when it comes to the barbecue, and I will never quite understand your culturally relevant jokes even though they are obviously hilarious." The Nest is a sister comedy about two women who decide to have one last party in their parent's home, but more importantly, I foresee it causing a wide spread wave of family-envy, one in which we all imagine being Fey or Poehler's sister, and that envy is only going to get worse once they cast the mother. We already know this movie is going to be awesome, as Poehler and Fey are not known for missing the mark (Baby Mama, anyone?) and it's going to be directed by Jason Moore, the genius who directed Pitch Perfect. But can we handle the pain of seeing Fey and Poehler, acting as one happy family (of weird adult sisters who want to throw a house party, nbd) when we aren't a part of it? I'm not sure. I'm just not sure.